Countless people would love to learn how to fight insomnia without prescription medications. Is a melatonin supplement the answer? Mixed research results tell us to proceed with caution. Make no mistake: Using melatonin may be helpful in dealing with insomnia for some, but it may be counterproductive for others. If you’re always searching for help in how to fight insomnia, you may have wondered about using melatonin for sleep. 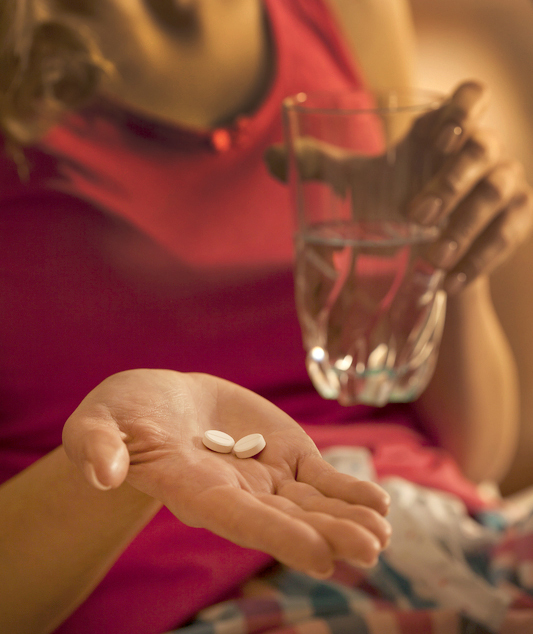 Melatonin is an over-the-counter supplement, sold right alongside vitamins and fish oil. But can it help you achieve a restful night’s sleep? Many people have tried using melatonin for sleep and swear by it. Others who have tried it haven’t had as much success. But they may have underlying conditions that make their insomnia a more complicated challenge. Research has also produced mixed results, with some studies showing that melatonin may be better in certain situations as opposed to a nightly solution. Melatonin is a hormone produced by the tiny pineal gland, located in the brain. During the day, the pineal could be described as “off.” It doesn’t produce any melatonin until nighttime, when the environment around you gets darker. Blood levels of melatonin increase and stay elevated until morning. As your surroundings become brighter, melatonin levels in the blood dip sharply. Be wary of the lights around you at night—especially when it involves a screen in your face in the dark. So the production of melatonin is the result of your body’s natural clock as well as the amount of light and darkness around you. 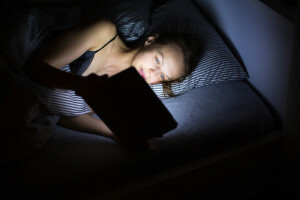 Artificial light, for example, can help reduce melatonin in the body even if the lights go on at a time when melatonin levels should still be strong. That’s why, when experts explain how to fight insomnia, they always recommend keeping your bedroom dark and avoiding exposure to bright lights or lighted screens (TV, computer, cell phone). You want to get that melatonin production up and running. When melatonin levels are elevated, you tend to crave sleep and become less alert. When the levels drop, your thinking becomes clearer and you become less sleepy. While your body should produce enough melatonin to keep your sleep/wake cycle consistent and healthy, there may be times when taking synthetic melatonin for sleep is worth trying. Many people try melatonin because they want to know how to fight insomnia without prescription drugs. Synthetic melatonin is the only hormone sold in the U.S. without a prescription. Most people who try melatonin for sleep tolerate it well and have few side effects. The supplement comes in a variety of dosages, though pills of 3 milligrams (mg) or 5 mg are most common. If children try it, they are usually advised to start with a 1.5 mg pill. If you try melatonin, start with a low dose until you have a better sense of how if affects you. Taking too much melatonin can produce very vivid dreams, and may actually interfere with your sleep. Taking melatonin during the day may make you very drowsy and may throw off your biological clock. Melatonin is meant only for short-term use—about two months or less. Research suggests its best purpose is to help people deal with jet lag, when they have traveled across several time zones. The supplement may help you fall asleep at the time appropriate for your new time zone and get you into the proper schedule for that location. Individuals who have success using melatonin for sleep usually find that it helps them fall asleep faster than normal and that they wake up less frequently. However, melatonin doesn’t seem to help people sleep longer than they normally do. For that reason, it’s important that if you try melatonin, you time your dose so that you can wake up approximately when you desire. Talk with your doctor before you try melatonin for sleep. If you take a prescription sleep medication or if you have a health condition that could be affected by the supplement, it’s especially important that you discuss the idea with your physician. Drugs that may present interaction problems include blood thinners, birth control pills, and diabetes medications. Understand that melatonin supplements aren’t like vitamins and other medications in that they don’t receive close scrutiny by the U.S. Food and Drug Administration (FDA). A product may include added ingredients that aren’t included on the label. As a result, there is no real consistency between brands. One brand of 3 mg synthetic melatonin may result in only a mild melatonin increase in your bloodstream. A different type of 3 mg melatonin could produce a major increase in circulating melatonin. Ask your healthcare provider for specific product suggestions. It will be extremely important to have realistic expectations about using melatonin for sleep. It’s not a strong prescription drug, but it may be just what you need. Also, be sure not to take melatonin right before driving a car or doing anything that requires great focus and alertness. birth control, blood thinners, brain, children, diabetes, diabetes medications, fish oil, food, health, health news, hormone, how to fight insomnia, insomnia 2, insomnia medication, melatonin, melatonin for sleep, side effects, sleep, supplement, supplements, university health news, vitamins, ways to beat insomnia, what causes insomnia. I lost sleep in 7/91 & in 6/91, I got a fist to face @ 3 drawer desk & was @ L corner. I took Tegretol & this raised Serotonin sig. normal sig is @ 25-125 & I got that done @ 252!!!! no one will test it again!! I haven’t worked F/T since 11/13/91 after losing sleep from fist to face & then combined both with drug that was never tested from jr. high school time till perhaps 6-8 months ago & put on another few drugs. I took a sleep study about 2 weeks ago or so & dx was apnea; I was given a drug for sleep & we know stress, hypertension, anxiety & depression is caused from insomnia.— I took Melatonin about 3 bottles awhile back & still can’t do much & it is 25 years from event at work with a fist to face & Tegretol Rx that causes higher Serotonin sig & when tested was @ 252 vs. 25-125. Should I take any others such as GABA, Melatonin or Dopamine now?? The person suffering from sleep apnea should seek out a CPAP machine rather than medications. Some people have had difficulty using it because of having to put something over the face and because of the sound. However I think they have refined them a bit.